When my older kids were little we borrowed a cassette tape from another homeschool mom with some fun history songs. Over the years I have often thought I should try and find that cassette to buy for my younger kids who are more musically inclined. Well, time goes on & I forgot about it again. Then I had the opportunity to review the newest edition of the music along with the books and my kids are loving them. As the name of this series implies, these book and CD sets allow you to Experience History Through Music. Each title contains one book and one CD. 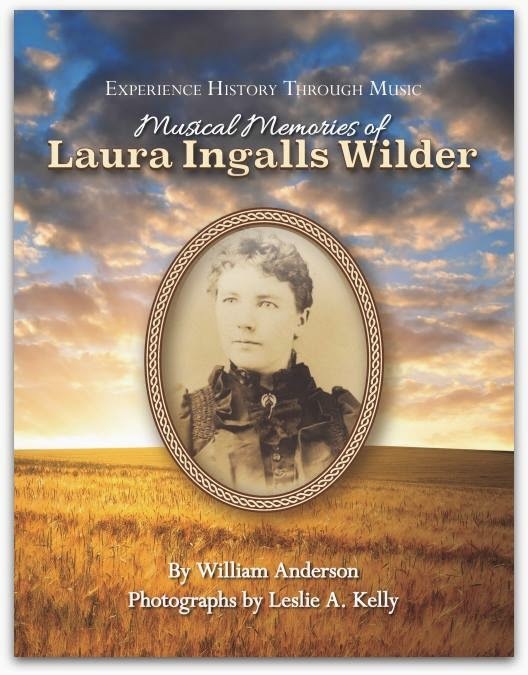 The pages of the books hold dozens of historical pictures; bright and interesting stories connecting each of the songs to its moment in history, even sheet music and chord charts! The CDs are rousing , professional recordings that draw in all listeners. The two combine for fond memories and a grand, knee-slapping good time. America's westward expansion is amazingly rich in stories and songs. 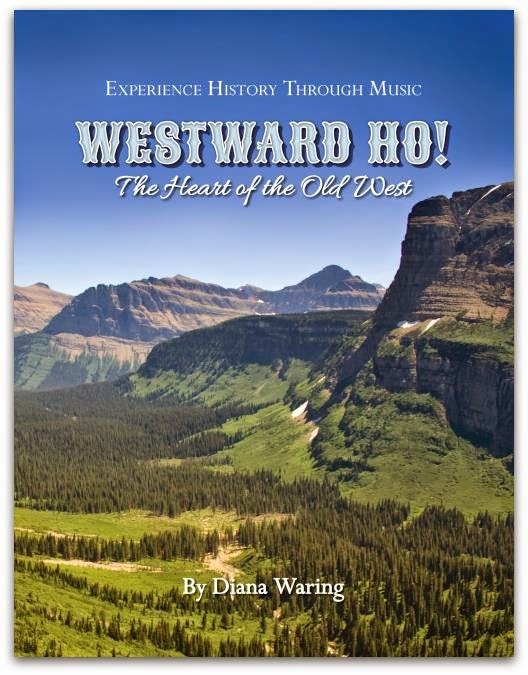 In Westward Ho!, you will find the pioneer spirit that stirred the hearts of thousands of Americans to leave the safety and comfort of home expressed in folk songs of or about that time. Now you can experience the pioneers' adventures, dangers, joys, sorrows and hopes as you join in and sing along. From the French and Indian War to the first transcontinental railroad, America is a chronological tour of American history through its music. Enjoy the songs and stories of our past that have been shared from generation to generation—songs that make you laugh, make you cry, and make your patriotic spirit soar. We listened to our cds in the car & in the house. I chose to read a story aloud each day and listen to the song that goes along with it to all three of my girls ages 9, 12, & 13.. We loved the stories, and some of the songs we thought were quite funny. Some days they would beg me to read another story, then another, and...... My girls loved hearing songs from Little House on the Prairie. They have read the Little House books and have watched the episodes several times, but we all enjoyed listening to the songs that are included in the book. I also loved having the sheet music and all the words to the songs included in the book. My girls have been playing some of the songs on the piano, but they also like to sing along with the song & having the words really helps. These books and cds would make a wonderful addition to any history curriculum or just for fun. 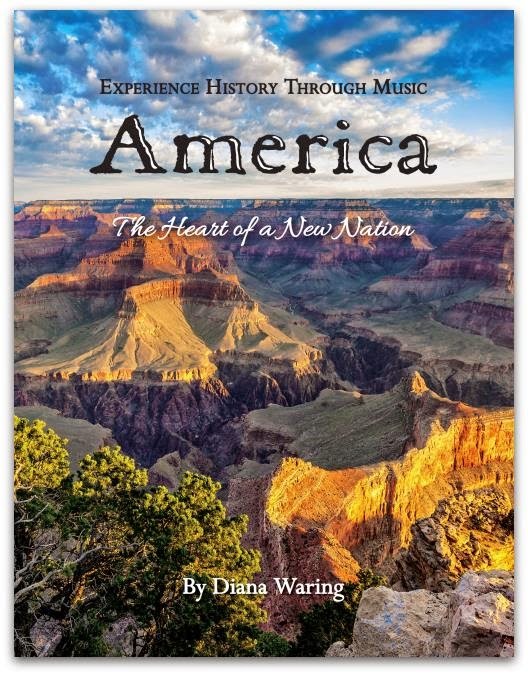 Diana Waring has learned so much from writing books and homeschooling her own children. When she first started homeschooling she wanted to attend a homeschool conference, but couldn't afford it. She decided to combine folk music with history and be a workshop presenter to be able to attend. She loved the idea so much, she decided to write a book. As the years went by she figured out that she could add other subjects and she began to write a history curriculum. The History Revealed curriculum has taken 20 years to complete and is a nine book series (plus nine sets of audio CDs), plus two of the three American folk music/history books (and CDs) make a grand total of 11 books on history. Disclaimer: I received these products free of charge to use in my home in order to write this review. All opinions are my own and no other compensation was received.